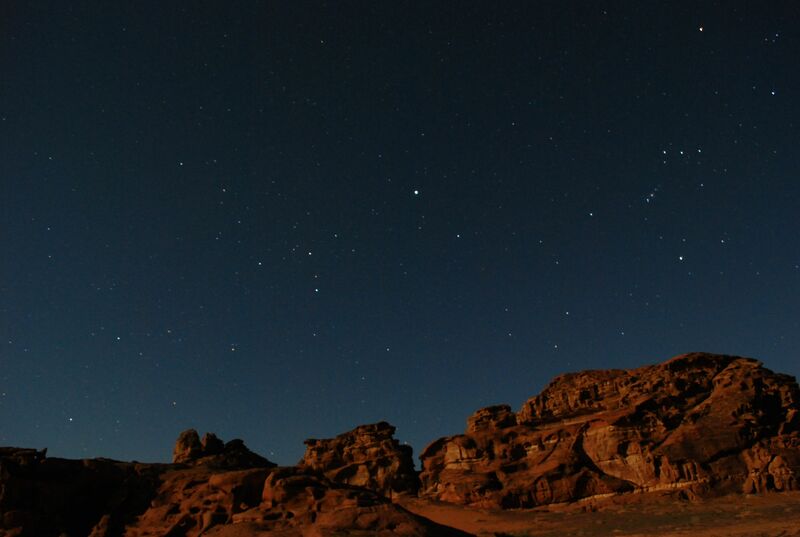 Explore remote natural landscapes without missing the must-see places of Wadi Rum, and travel off the beaten track to bivouac overnight in the tranquility of the desert. A bedouin dinner taken around the fire. We will certainly not miss the must-see places but will also go outside of the beaten paths when you can live a special moment with your guide in the desert, as much as possible away from other visitors. Note : Generally, you will share the tour with other people ( maximum 6 people). In the late afternoon we will set our camp somewhere carefully selected for the season and the beautiful landscape. You will be free to walk around, discover your surroundings at your leisure and climb some rocks to have an exclusive sunset viewing place. 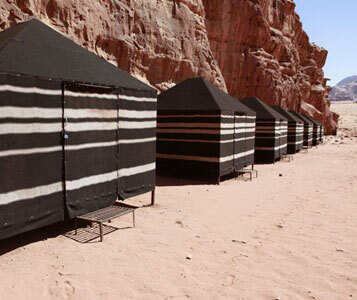 After a bedouin dinner taken around the fire, you will have the choice to sleep in a tent or outside under the stars. We provide all the necessary camping equipment, including tent, mattresses, pillows and blankets. we will set our camp somewhere carefully selected for the season and the beautiful landscape. You will be free to walk around, discover your surroundings at your leisure and climb some rocks to have an exclusive sunset viewing place.After a bedouin dinner taken around the fire, you will have the choice to sleep in a tent or outside under the stars.